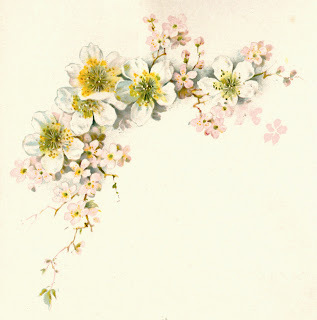 This is a beautiful image of Dogwood Flowers from a vintage wedding book. 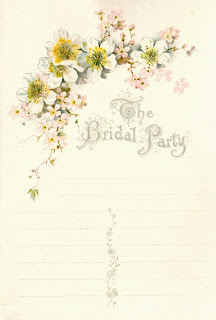 I love the soft colors and the lovely detail. 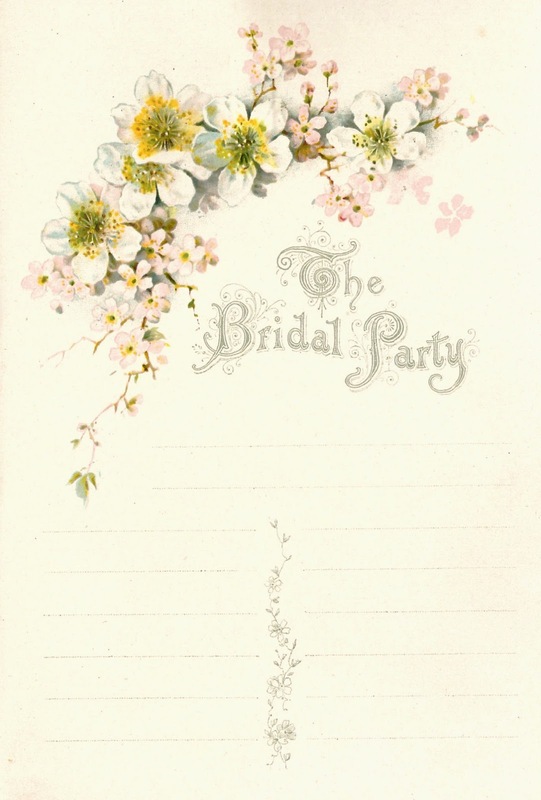 I've given you the image of the entire page in the wedding book, which allows for signatures for those in the bridal party, because I thought it would be a wonderful design for decorating a bride's projects celebrating her upcoming wedding. I hope you enjoy!